The Goods and Services Tax (GST) Council might not take up the issue of including petroleum under the new indirect tax system at its next meeting, which was advanced by a couple of weeks to October 6. The meeting is likely to take up the issue of problems affecting the GST Network (GSTN) and exporters’ concerns. Just three months since the roll out of the GST, the Centre will not ask the states to agree to imposing the new indirect tax on petroleum, a senior finance ministry official said. The next meeting of the GST Council, to be held through a video conferencing, was scheduled on October 24, but has now been bought forward, the official said. 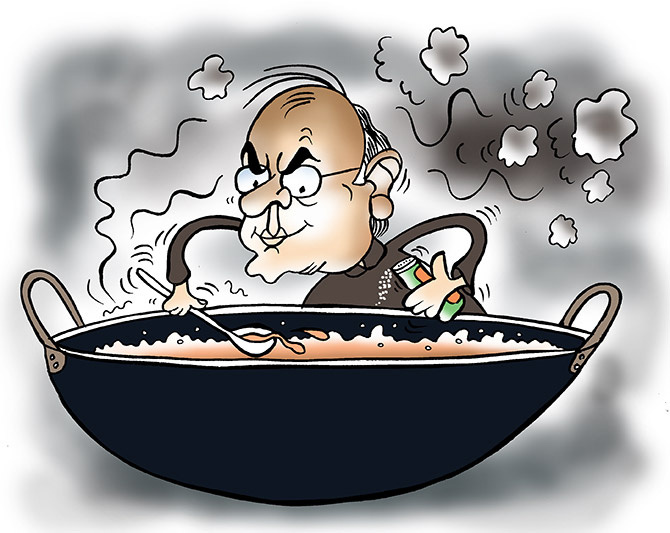 Finance minister and the chairman of the GST Council, Arun Jaitley, is travelling overseas during the week. Earlier, Petroleum Minister Dharmendra Pradhan had pushed for including petroleum under the GST to bring down its retail prices. Currently, the indirect tax is not levied on five items of petroleum - crude oil, natural gas, petrol, diesel, and aviation turbine fuel. The GST Council will decide on imposing the GST on these fuels in two years. Abhishek Rastogi of the law firm Khaitan & Co said, “The concerns of the states to keep petroleum products out of the GST gamut arise only due to the apprehension of loss of revenue. It remains to be seen how the central government will convince the states in the larger interest of the economy." However, the finance ministry official said the Centre may not do it so soon. Oil refiners and marketers are set to take a hit of Rs 25,000 crore (Rs 250 billion) a year because of the exclusion of the five petroleum products. Indian Oil Corporation, Hindustan Petroleum Corporation and Bharat Petroleum Corporation are likely to bear a loss of about Rs 5,000 crore (Rs 50 bilion) this financial year. But, states are not willing to bring petroleum under the GST because 50-55 per cent of their VAT revenue came from these products. Petroleum constituted 25-30 per cent of the states’ gross domestic product on an average. The GST is now levied on less than 70 per cent of state GDP, as alcohol and real estate are also kept out. On Monday, Bihar Chief Minister Nitish Kumar had also said the inclusion of petroleum in GST would require more discussions. His deputy Sushil Kumar Modi is leading a group of minister on the problems affecting the GSTN. Exporters met Revenue Secretary Hasmukh Adhia on Tuesday. Adhia is heading a committee to address their difficulties under the GST regime.